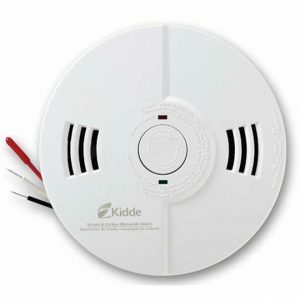 The Kidde NightHawk combination smoke/carbon monoxide (CO) alarm can fail to continue to chirp when it reaches its seven year end of life if the batteries are replaced, leading consumers to believe it is still working. This poses a risk of consumers not being alerted to a fire or CO incident in their home. The U.S. Consumer Products Safety Commission issued a recall alert on November 10, 2016. REPLACE – Consumers should immediately stop using the recalled alarmsand contact Kidde directly for a free replacement alarm based on date of manufacture or a discount on a new alarm.